Custom made from the ground up, even the belt loops! Contact seller for special orders. 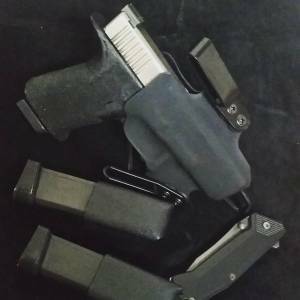 The Protective Services “Epitome” OTP/ITB holster is the culmination of years of work to better conceal an every day carry firearm. Inside the waistband is typically easiest to conceal but not always the most comfortable. We first created a modern solution with our “Enigma” Outside the waistband/inside the belt holster. Truly the first of it’s kind in well over 100 years of holster development. With the “Epitome” we re-shaped, changed some angles, retained a 15 degree cant and tweaked the retention a bit to create a holster in the same lineup of outside the pants but inside the belt that all but makes a pistol disappear! As long as the belt loops on your pants are 6 inches apart, the holster will fit. There is no splitting belt loops with this design, so the belt loops on your pants dictate where the holster is best worn. 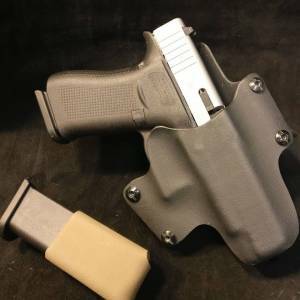 We wanted a belt holster adjusted for cant that was comfortable, durable and would retain the gun no matter the conditions. We know that not everyone will invest in a purpose built everyday carry gun belt… The “Epitome” solves that problem. The belt doesn’t play near as big of a role with our design, allowing a wider range of options to best suit your attire. 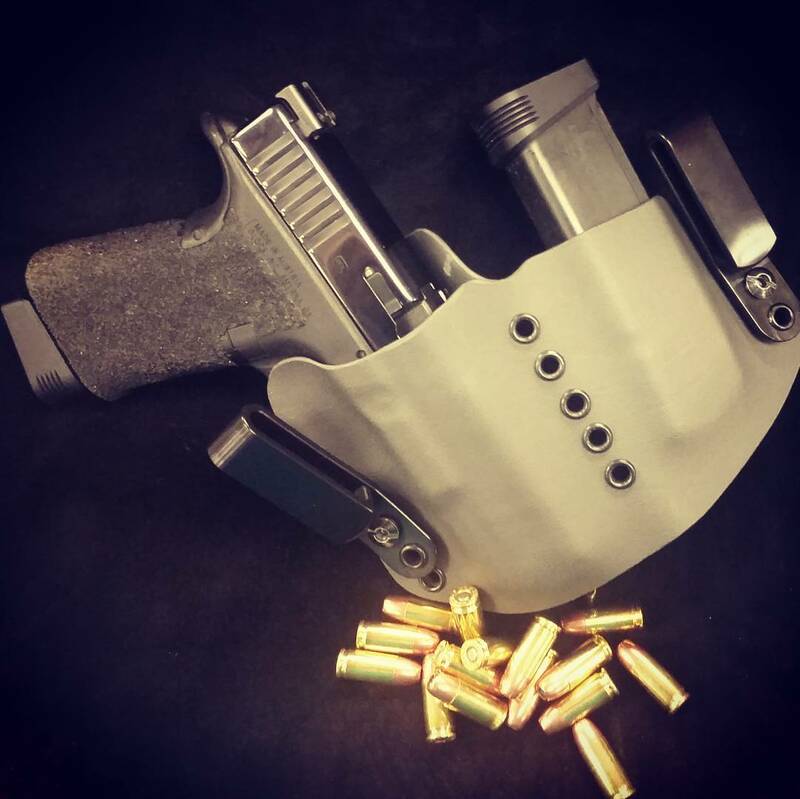 We wanted a holster that rode close enough that concealment was easy, even in simple cover garments, we had it before and now we have it even better! All Advanced Performance Shooting Holsters are individually engraved Make, Model, and date of manufacture, as well as the builder’s signature to ensure authenticity. 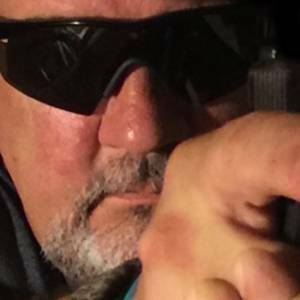 At Advanced Performance Shooting, we are extremely proud to provide our customers with a truly superior product, backed up by our lifetime warranty. Images may not depict the particular firearm that is listed. 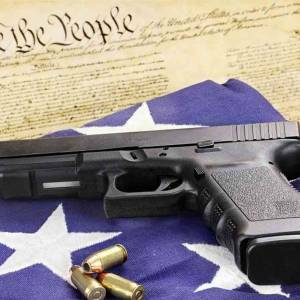 Please scroll the list carefully for your pistol a they might not be listed in order. 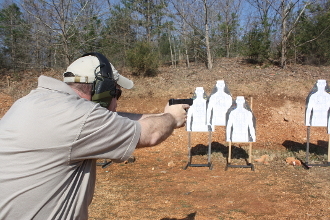 If you don’t see your pistol please contact us about a special order. In most cases we don’t charge extra for special orders. Holsters are made when ordered. We don’t stockpile, or pre-build holsters. 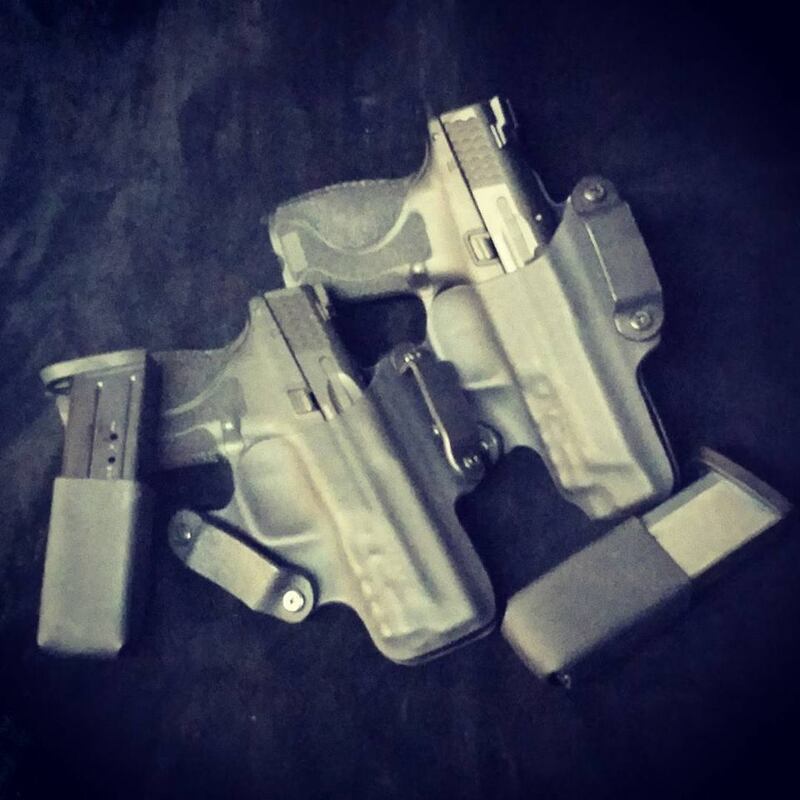 Each holster is built to order when the order is placed. With that, we still offer one of the fastest services in the country, without sacrificing quality. We are a Veteran owned company, and we take great pride in our work. We aren’t interested in copying other companies products, but if you have special needs or require a modification to one of our existing designs we will do all we can to help.